Improves Body Posture and Comfort Level - Because the iFold raises the screen of the laptop monitor higher, the user can straighten their back and head when looking up at the screen, avoiding potential injuries due to poor posture and stooping. 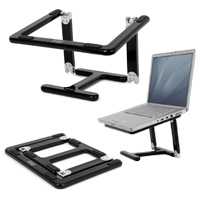 Foldable Laptop Stand: The iFold is designed not only to raise a laptop to an appropriate height for viewing the screen but to be folded up when not in use for easily storage and portability. It can be set up and taken down in seconds. 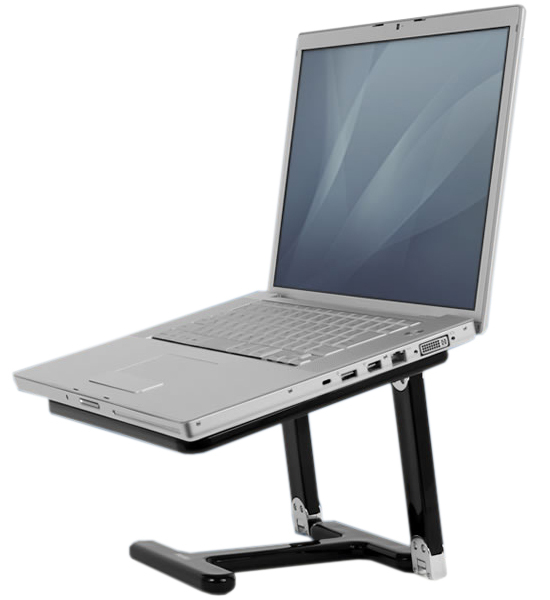 Portable Laptop Stand: The foldable nature of the iFold also makes it easily portable along with a laptop. High Quality Materials: Made of high quality acrylic with chromed zinc alloy hinges, the iFold is both attractive and built to last. 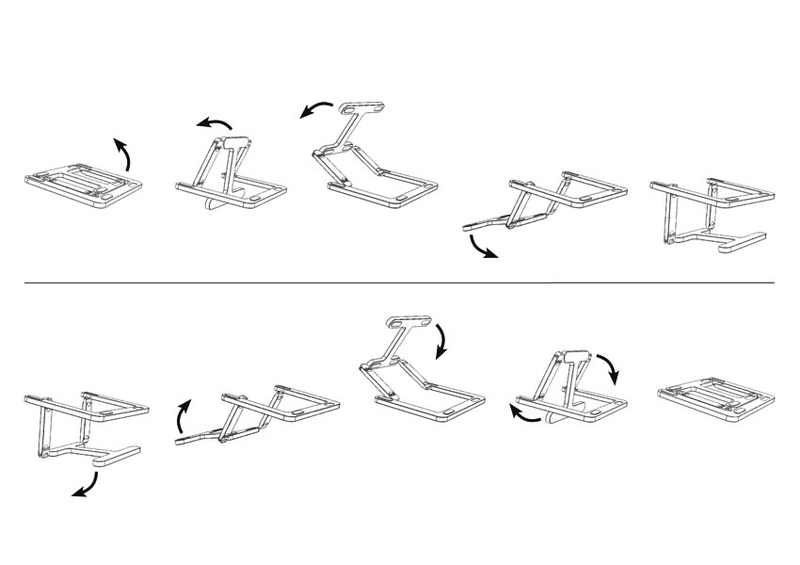 Carrying Sleeve: In order to make transporting the iFold easier, a carrying sleeve is included with the stand. It will keep the iFold from being scratched or twisting out of shape while being transported. 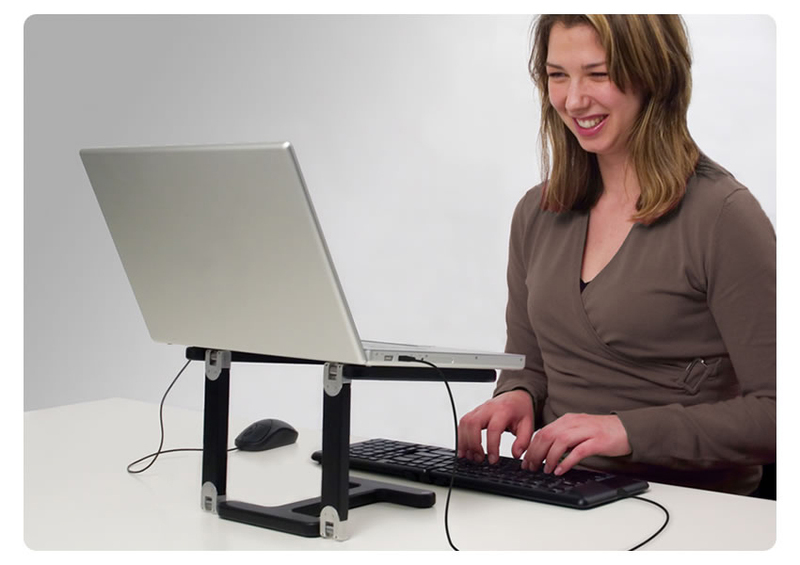 Works as a Cooling Stand: The iFold can also be used flat when used on the lap of the user. 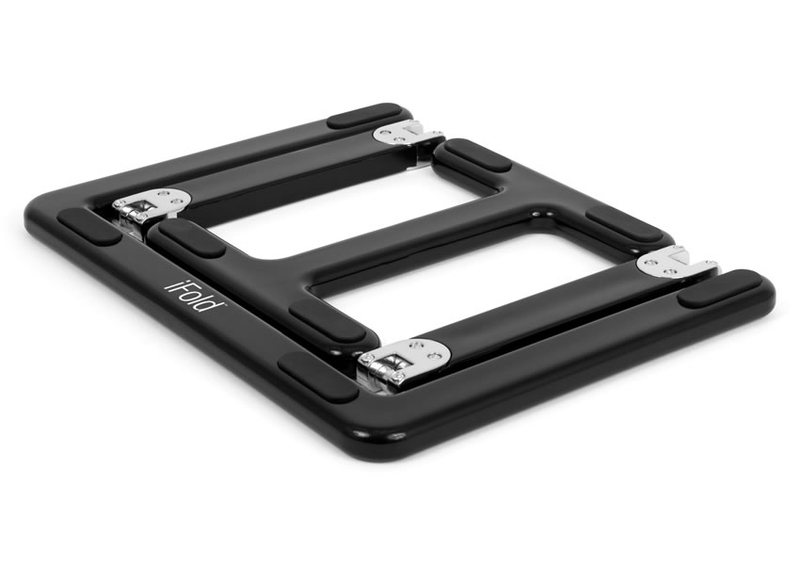 The stand will allow air to circulate underneath the laptop, keeping it cooler and extending the life of the battery while minimizing the noise from the fan continuously running. Rubber Pads: To prevent the laptop from accidentally slipping when on the iFold, three rubber pads are conveniently positioned on the stand. This will keep the laptop securely in place while working. Dimensions (flat): 11.25" x 8.88" x 0.69"